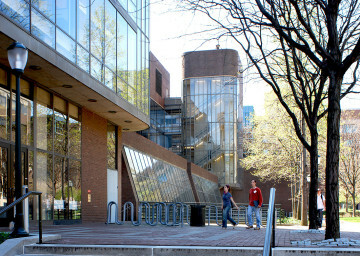 The challenge for this project was to design a large industrial structure to fit into the center of Penn's dense urban campus. Services began with studies of three sites within the academic core to accommodate the Mod 6 chillers. When two were rejected due to irreconcilable conflicts, attention focused on the prominent 38th and Walnut site, already suggested for a parking garage. The 7-story facility includes spaces for 627 vehicles, storefront retail operations, a 9,500-ton chiller module and corresponding extension of the campus chilled water loop, and a 4,000-ton ice storage facility. 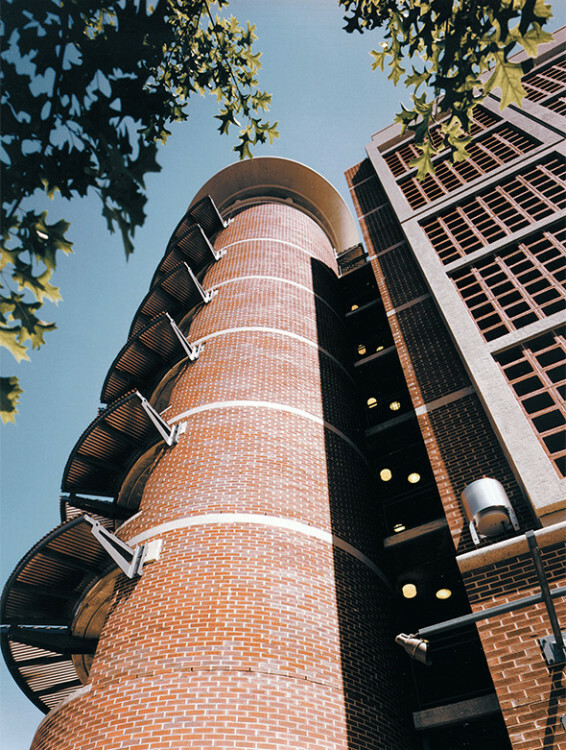 Careful masonry detailing turned this industrial facility into a handsome addition to the university’s historic campus.